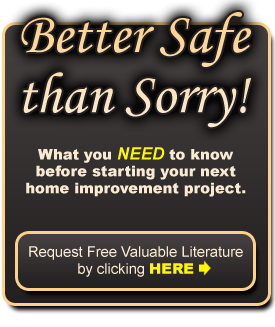 Call DeMaio ~ Wilmington, Delaware ~ Kitchens ~ Baths ~ Basements ~ Windows ~ Home Improvements ~ One Company, One Solution! 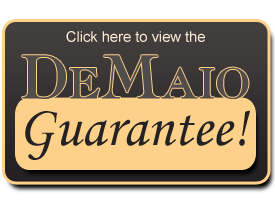 DeMaio Contractors Alliance LLC has developed a systematic approach to the Design/Build process that is client focused. What is the client’s vision for the project? What problems are the clients trying to resolve, and do the solutions offered truly meet those needs? What is the client’s budget? What are the client’s timeframe requirements? All of this requires careful listening, creative thinking, trust, patience, and teamwork. Phone Discussion: During the initial phone call we will listen actively, asking lots of questions, as you discuss the wants and needs of your renovation. This helps us to see the project through your eyes, so that we can work more effectively with you during the planning process. Project Idea Book (sent in advance): Before our first meeting we will ask you to compile a scrapbook of ideas, notes, priorities, pictures and styles. It can be as detailed as you like. We also ask that every member of your household contribute to the Project Idea Book, to ensure that the final product is a true reflection of your family. This process will help you express what you truly want to achieve with your remodel. It also gives you a chance to discuss the elements of your new space with other family members or anyone else who will be impacted by the new space. First appointment: At our first meeting we will listen to your ideas and help you prioritize your wants and needs. We will also evaluate the existing environment and how to incorporate your desired changes so that the end result will be a seamless transition from old to new. © 2010 www.CallDeMaio.com Design:Catalyst Visuals, LLC.